Another great camp-out for the books! The BBA Mountain Campus allowed us to use their space, which is simply perfect for this event, especially with the ever changing VT mud season weather. 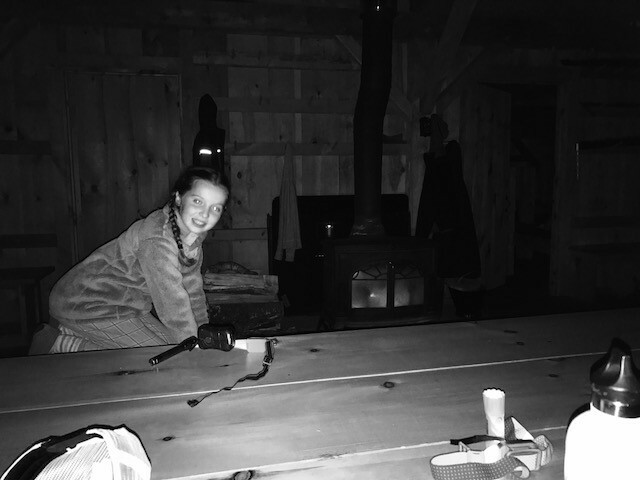 We gathered in the parking lot, we said good-bye to our parents and off we went; eight girls made the walk to the bunkhouse in the drizzling rain. We unpacked (everyone got their own bunk!) 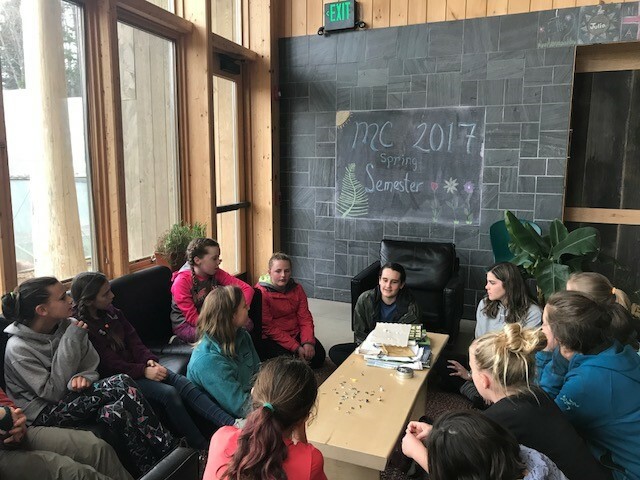 and wandered over to the main campus building to participate in a few team builders with the 7 & 8th grade girls group, who also utilized the BBA Mountain Campus space this time around. The first activity started by the group gathering around a collection of charms. Each girl chose a charm that they were drawn to, then they told the group why. This activity allowed the girls to become more comfortable with one another, in a very open-ended way. They told stories about things that have happened in their lives, or things that they would like to do in the future. It was cool to see each girl pick a charm and tell their story in such a creative way. Wrapping that up, we then moved on to dinner (mac & cheese, woot, woot!). After dinner, we wandered back to the bunkhouse, and let the girls do a little running around. 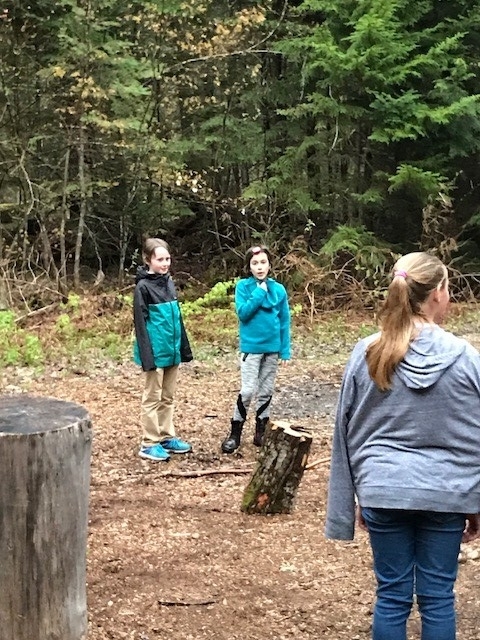 Jacque facilitated another team builder, where the girls had to lead a blindfolded partner through an obstacle course. There were a lot of laughs, and there was absolutely no concern about the crummy weather. Moving back inside we changed in to pajamas and spent some time around the table playing charades before bedtime. The next morning, we packed up and gathered around the table once again. I asked the girls a collection of questions about things they have done, and things that they like or are interested in. We put things in order (like shoe sizes and birthdays) looking for the lowest or the highest. We talked about the number of countries or states we have been to. The theme being, although there are differences, there are always commonalities between people. Things there are different are interesting and things that are the same make us relatable. All of these things are important. The girls really responded to this activity and we spent a long time on it! The morning flew by, with some breakfast and a little more down time before walking back down in the drizzling rain to meet their parents once again.